Splitting logs can be a dangerous game. I can't recall the number of times I was hit by a shard of timber or whacked on the leg by a heavy steel wedge when I first had to start splitting my own firewood. If learning how to use a log splitter properly and safely interests you (and why wouldn't it! ), read on as I cover some of the basic safety and operation aspects of log splitters. We're going to get into the 21st century here and talk about powered log splitters rather than axes, wedges and sledgehammers. If you have already purchased the best log splitter for your home then you'll certainly be able to take some log splitter tips away from this article. Safety is a really important thing when operating an electric or hydraulic log splitter. The risk of serious injury through crushing or being hit by wood splinters is very real and should not be underestimated. This article on hand injuries from log splitters is revealing, and terrifying too! I know it sounds kind of irritating, but always read the owners manual before operating your splitter for the first time, and pay close heed to the operating instructions and specific safety requirements of your machine. Ensure that all guards and safety devices are functioning correctly and do not use the machine until any faults are corrected. Do not modify your splitter without first consulting with the manufacturer or an expert. Always wear the proper protective equipment including sturdy safety footwear, eye protection, ear protection and a good set of work gloves. Only one person should operate the log splitter at a time, to prevent the operating lever being activated when somebody's hands or body are in the wrong place and risk being crushed. It's also important to operate your log splitter on an even surface where it is stable and unlikely to shift or tip. Make sure the ground around you is free of obstructions. Never operate your splitter on wet, icy or slippery ground where a slip or trip could result in serious injury. Always keep both hands away from the ends of the logs and keep your hands off the log while the piston is in operation. Always keep a close eye on the log splitting ram and the log itself. You really can't afford to get distracted when you're operating this type of equipment. 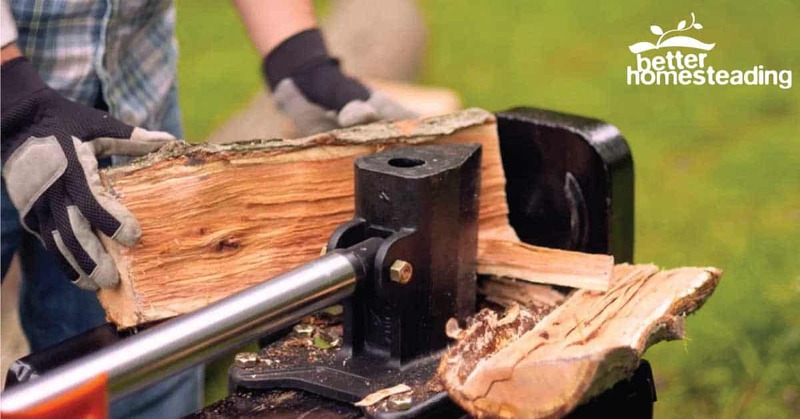 If in doubt, it's always worth getting a professional in to do the job for you, but after reading this article and watching the short videos I'm pretty confident that you will have all the skills you need to operate your log splitter safely and effectively. I always like to be knowledgeable about the machinery and tools I am using. Knowing how a hydraulic log splitter works is definitely good knowledge to have before you use one. 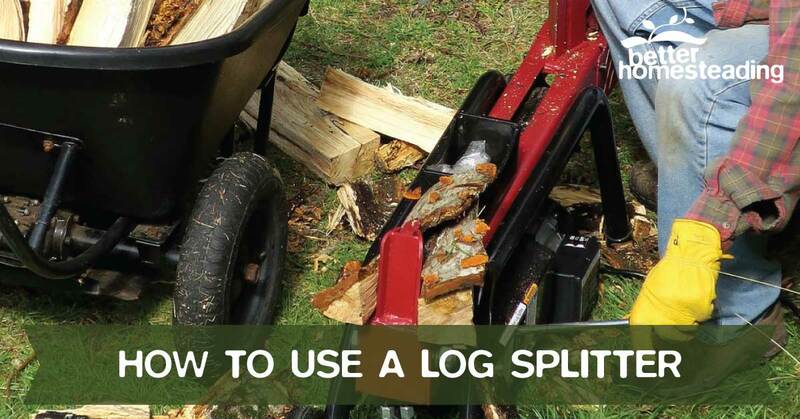 Most log splitters operate in a similar way, regardless of whether they are manual, electric or gas powered machines. 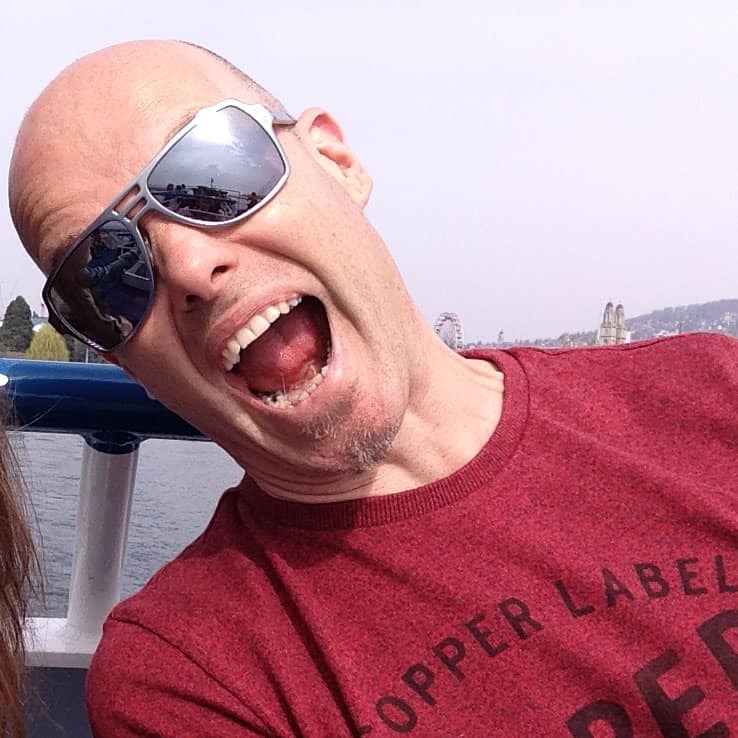 They all operate using a hydraulic pump system which is really very similar to a car jack placed on its side. The user operates handles which push the piston out, which then pushes the log against a V-shaped wedge. The piston exerts very high pressures, which causes the wedge to split the log along its grain. The manual hydraulic wood splitter is generally the least expensive option for the home owner, but is also the slowest and the full cycle can take a minute or more. This slowness of operation makes it quite safe though. Contrast this with a mid-range gas splitter where the cycle time may be as little as 10-11 seconds. Even an electric splitter will process a log in around 30 seconds, allowing you to chop a lot of firewood for use throughout the year. Gas splitters have a lot more shear power and will definitely split the wood a lot faster than an electric or manual model. There are a number of other types of splitter which use a similar mechanism to split the wood, but don't use a hydraulic pump based system to operate. The basics of using any of these splitters is very similar, but be guided by your manufacturer's instruction manual. An electric splitter is not really much different in functionality than a manual one, they both use a hydraulic pump system to provide the force needed to split the log. However, the chances of entrapment or crushing do go up when you are using a motorized machine. Although all these machines should use a 'dead man's switch', preventing the machine from operating if you become incapacitated. I spent 17 years in the British fire service, and although never went to any log splitter accidents, carelessness and lack of respect for equipment saw many people crushed, maimed and dismembered by machinery that was essentially safe and operating correctly. Still, the single handed operation of electric and gas splitters does provide the possibility of a crash injury. Placing the log on the splitter rail bed and then standing back as you operate the power lever will minimize the risk. I've seen plenty of people shifting and moving the log into a better position while the piston is moving. BAD IDEA!! Another consideration with electric splitters is the requirement to be close to a power supply, which can be a pain if you are working out in the woods. You'll need to take a generator with you. But, the cool thing is that the electric models can be operated inside a garage without the risk of fumes. Operation of a gas splitter is similar to the manual and electric models. Operation will be somewhat faster, so the risk of sudden injury through loss of concentration increases. Use in enclosed spaces is not recommended, as exhaust fumes are extremely toxic. A well ventilated space is required. The splitting machine is placed onto an even, level surface, free from trip hazards. The log is then placed onto the splitting bed and rail area. Operate the machine with your hands only, no feet or pieces of wood. Only one person operating at a time. Split a single piece of wood at a time. The only time to add a second piece is if the ram has been fully extended and a second piece is need to bridge the gap so that the initial log can be fully severed. The operator activates the hydraulic pump system which pushes against the log, pressing it against the splitting wedge. For a manual hydraulic splitter the operator is usually moving the pump handles backwards and forwards, as you would with a car hydraulic jack. Since the operation is using hydraulic systems that handles move easily with little resistance. This is an awful lot easier than chopping wood by hand. With an electric or gas powered wood splitter you will usually just operate a single handle which engages the motor or engine to operate the piston. This does however allow you to be close enough to the splitting area to become entangled...keep your hands clear! The splitters we discussed so far all work by placing the log on a horizontal rail, which necessitates lifting the timber from its resting position, possibly up to waist height. Vertical splitters on the other hand, allow you to roll or manhandle a log into position at ground level. This saves your back as well as reducing the opportunity to drop the log onto your foot or legs. Splitting large logs with a vertical log splitter is a must if the timber is large and unwieldy. Check out the video below to see a number of splitters in operation, and to reinforce the best way to use one. This video demonstrates the safety and operation of a log splitter in both the horizontal and vertical positions. That just about sums up the basics of splitting logs with a wood splitter. The 'how to' aspect is actually remarkably similar across the broad range of types. A little common sense and familiarity with your machine will save you from injury and pain. If in doubt, ask a professional, or go back and read the manual until you are sure on how to use your log splitter.